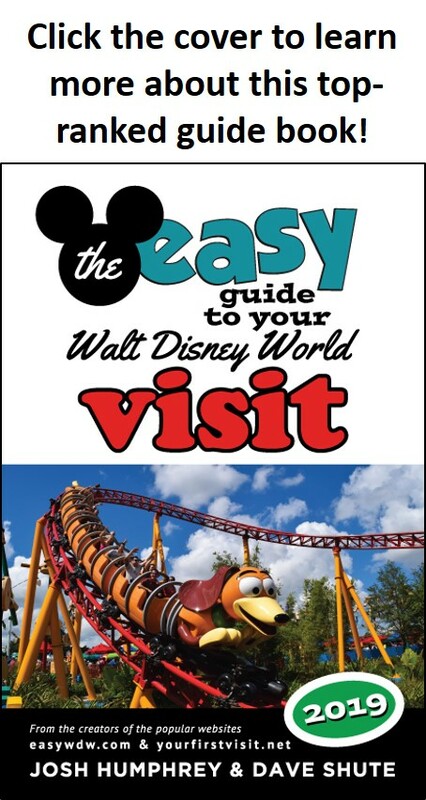 The last few weeks, while I’ve been focusing on the March update to the unparalleled The easy Guide to Your Walt Disney World Visit 2018, some resort news has come out. As usual these days, there’s been more heat than light in the negative reactions, but both reactions are valid. For years now Disney has been raising park and hotel prices at a level well in excess of inflation that I can’t defend compared to increases in the benefits (rides, entertainment, hotel refurbs) it has been offering. Part of it is Disney trying to recoup its capital investments in e.g. New Fantasyland and Pandora and the other enhancements at Animal Kingdom, and the still-to-come Toy Story Land and the Star-Wars themed Galaxy’s Edge. Part of it is a dipshit money grab—Disney is raising prices because it has so much demand that it simply can. And related to this last point, part of it, I suspect, is Parks and Resorts leadership improving operating economics in the parks so leadership looks better to the corporation and its board. And when combined with the extension of some perks that used to come largely (but not solely) from staying in Disney-owned resorts to other on-property hotels, such as EMH going to Four Seasons and the Disney Springs Resort Area hotels, and 60 days FastPass+ access going to Shades of Green and the Disney Springs hotels, well, even though this is actually a small net increase in access to these (on the order of 15% more rooms), there’s still a lot of heat out there. For first timers, these changes don’t much matter. There’s not enough meat to them. But for returning visitors who have been paying attention, cumulatively they are extremely annoying, and the taking away of a previously free benefit, even if at a fairly trivial level, has some real, painful symbolism. In my day job I am a business strategy consultant. With that hat on, I applaud this move—monetizing an asset by bringing it in line with industry standards. But in my nights and weekends, I try to help people have great Disney World trips. And for returning visitors in particular, I understand that prices have gotten increasingly out of line with benefits, and hence the value equation is diminishing, particularly at the resorts. And putting my business strategy hat back on, repeat visitors are very important to Disney World, and at some point, the loss in goodwill will start to hurt. This particular change, as noted, is too trivial to make a difference when viewed in isolation. But when put in context with other moves…well, at some point they all may start to add up. Part of the problem is that the current set of leaders will be gone by the time such a potential loss in goodwill starts to have consequences, so someone else will have to fix the consequences of their dipshit moves. See also Tom’s post on similar themes on Disney Tourist Blog here. *Except for DVC members staying at a DVC resort with any payment means, or staying on points at another WDW resort. Also, I hear, guests reserving through Disney UK will be free from these charge through 2019. Moreover, one vehicle at the campsites (but apparently, not the Cabins, as I had wrongly thought) at Fort Wilderness is still free. 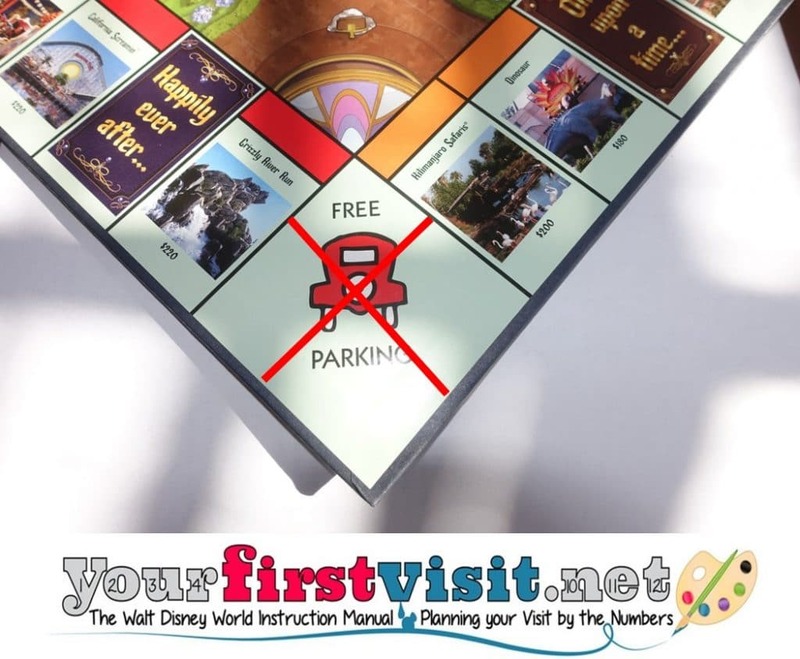 Note that those staying at a Disney-owned hotel still get free parking at the theme parks…at least for now… Disney’s current parking policy is here. ** I can think of one way in which–at least in 2019–this money may make its way back into guest pockets. I’ll publish more on this thought, which has to do with length-of-stay pricing, later. Interesting observations. This change won’t effect us, since we never rent a car and always use Magical Express and Disney Transport, but it does give me a negative perception. Do you know if they are going to charge for parking at the cabins at Fort Wilderness? That just seems unfair since each cabin has it’s own parking space. (UPDATED) Anthony, I don’t think fairness has much to do with this decision. Campsites get one free “motorized vehicle,” but Cabins do not. I am not a business strategy consultant. Just a fan and visitor to WDW. But I predict that in about 15 years or so a lot of free “Perks” will be done away with. Magical express bus’s to and from the airport will be done away with or you may have to purchase a round trip ticket. Buses, monorails and boats to and from the resorts and parks will have a fee as well. Hi Dave – I was wondering if there were any specifics out about this. We will be visiting WDW June 2-8, 2018. We booked the trip months ago. Will we need to pay the parking fee or will we be exempt because we made the booking a while ago? Will the fee be charged each time we enter the resort, or is it truly a “per day” fee? How will the fee be collected? Thank you for the information. Mark, as I understand it, it applies only to visits booked March 21 or later, so you should be OK. It is a nightly charge with full in/out privileges. The charge is to be added at the end of your stay, so check your folio before you check out to be sure it has not been applied by mistake. This seems like mostly a money grab to me. Yes, many hotels charge for parking, especially in tourist towns, but the price which Disney is charging is ridiculous. The fact that different resort classes have different rates also suggests nothing but greed. What does a $24/night spot offer above a $13/night spot…..smoother concrete? It’s been a while since we paid for parking at DW, but I presume the cost to park at theme parks is actually less that the proposed parking fee at several resorts? Whatever Disney suggests is the reason for this, pretty sure the bottom line is only about getting as much as possible from their guests. Since it doesn’t sound like you need to pay for parking if you’re dining or visiting, I can see that there will be more people trying to “get around” the rules, resulting in parking spots not being available for people required to pay for them. Honestly, based on our last stay, we would have spent nearly an extra $200 for parking a car which we never use on property. I see this also impacting people who drive, particularly if the cost for them driving is already close to that of flying..
PS. Although we are no longer first timers, I really appreciate your site as a great planning resource! Hi Melissa, so glad the site is helpful! I have seen several folks argue that free Magical Express will be the next to go, and I vehemently disagree. I, in fact, saw this parking move as a strategy to push people toward Magical Express. We all know Disney benefits hugely when guests are more “captive“ and less likely to visit Universal. Do you think the parking fees were motivated by wanting to keep people on property by encouraging Magical Express? Hi Beth, I’ll be writing more later on some of my additional guesses as to what is behind this besides cash, but I totally agree with you the Magical Express will continue to be no-charge. John, I’m not certain, but believe it just to be an overnight charge. So if you bring a car in on your check-out day, you ought not to be charged for it. Yeah, Lisa, when you rent points you get all the privileges (and the negatives) of being a point owner.